As we enter a time in which the idol of the “pure” ethnic nation is raised once again in the public square, an idol to which Christian symbols are often blasphemously attached it is necessary that an older wisdom should be proclaimed. I do not believe that it is possible to “go back” to any previous stage in our history, however beneficent the era was. We are always to seek the coming kingdom and not a past kingdom. But the wisdom of the Christian Empire that is greater than all our nationalities but also honours and includes every one of them is one that we need to attend to once again. The European Union was honourably inspired at its inception by the tradition of Christian Democracy and that “mystique” has given the EU a nobility that has granted a continent peace and brotherhood. Sadly the EU has declined into a mere bureaucratic arrangement, a “technique” that inspires nothing greater than place-keeping. I thank you for your witness to that which is greater and more ennobling. I understand the point made in the quotation about how purely ethnic states are impossible, since other ethnicities are bound to appear there somewhere at some point in time, and how the very ethnicity in question may undergo changes as well in language, cultural customs and so on. But one of the arguments made by those who support a broadly ethnicity-based criterion for state building is that the crucial aspect of a nation-state is that it’s ethnicity always remains the majority, not the exclusive population. A state could, for example, be composed of 80% of it’s domestic ethnicity, and allow the other 20% to be composed of any other ethnicity, and still remain a nation-state that is based on it’s own nation. Immigration could thus easily be accepted in a nation-state as long as the foreigners don’t make up more than 20% of the population, and the ethnicity upon which the state is founded remains at roughly 80%, give or take. This is a much more practical way of envisioning a possible nation-state, and we could even analyse past states (both before and after the arrival of nationalism) to see whether or not the major ethnicity ever fell below the cutoff point of 75%-80% majority. If it never fell below the cutoff point, then a nation-state is a clear possibility that can be used to model a state after. Also, I wonder what this implies for Blessed Karl’s planned reconstitution of Austria-Hungary into a tripartite federal state, if not a several member federation. He clearly wanted to give all major ethnicities some important degree of autonomy, clearly respecting the ethnic areas and their borders. But on the other hand, the Austrians previously hesitated to give even Hungary some autonomy, only giving in to save the state from falling apart due to the Hungarians dissatisfaction of how Austria was single-handedly running the entire Empire, and clearly didn’t want to consider ethnicity alone as a basis for naming and making regions in the past as well. Another thing; I would disagree with the above commentator that the EU was created with noble goals in mind. 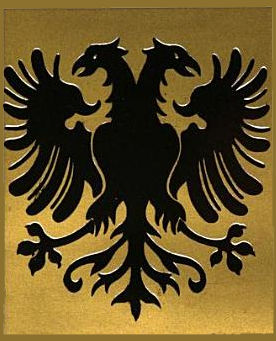 I myself do think that Otto’s intentions of re-creating a possible modern version of the HRE, while noble and good, were spent in vain into the EU project, which was from the start influenced by left-wing thought (though that wasn’t as explicit as today) and secularism, such that the current state of affairs in the EU, with all it’s wrongheaded immigration policy, it’s favoring of left-wing thought (gender-ideology would be one example), it’s controversial meddling with the politics of member states and it’s centralisation is merely the outgrowth of what was already present in it. I would argue the problem with this conception of the majority is that it is inherently arbitrary. Certain states will have a majority population, however it is rarely equivalent to 80% or even 75%. And it is not clear that this or any number makes for desirable situation, as well as the fact that criteria of what constitutes “the domestic nationality” shifts over time. Emperor Karl in what is sometimes called the “Völkermanifest” did intend to federalize the state and grant large degrees of autonomy, yet these were based upon the existing and historic territorial divisions. Subsequent “National” councils were to be formed to aid in the government of these territorial entities and the Imperial-Federal government. However the politicians of the councils simply took this as a licence to form their own national governments with no reference to the existing territorial bodies. The “autonomy” which they took upon themselves and which Hungary also craved for so long was the ability to suppress the other nationalities within their claimed borders, in which Magyars constituted a minority. Had the Hungarian government received its desired “autonomy” much earlier it would be safe to say that such ethnic groups as the Slovaks would not exist today. While it is true that the European Union has had its problems from the very beginning, it was certainly very much less Left-oriented in the past, and the noble ideals of such men as Konrad Adenauer and Alcide De Gasperi did much to counterbalance this. Unfortunately the constant mutability and lack of a cohesive supra-generational vision of current political regimes has led the Union through a downward spiral which it may never recover from. 1) Well, it isn’t exactly arbitrary, since a clear majority would be represented by an 80+% or so majority across the country. Anything less would introduce big and dense areas into the state that aren’t of the native population and are concentrated as well. 2) A domestic nationality would be defined as the nation upon which the nation state is founded. As for whether or not historically most states had less than an 75% equivalent of it’s domestic majority – in modern times many states have an ethnic majority. Germany is 80% German, Poland is over 95% Polish, Slovakia is 80% Slovak, Hungary is over 80% Hungarian, Romania is over 85% Romanian, Ukraine is 85% Ukrainian, Italy is over 90% Italian, Portugal is over 80% Portuguese, the Netherlands are 80% Dutch. 3) I am aware that the autonomy and federalisation Austria-Hungary would have gone through wasn’t based on strictly ethnic grounds, but would such an idea have been acceptable? After all, some who want an European empire that unites all of Europe under Christendom and the Emperor admit that all the nations would become federal states under that, and federal states have a large degree of autonomy, and them being based on the ethnic / national level seems to show that at least some recognition of the governance and autonomy that individual nations have isn’t strictly contrary to natural law, or to traditionalism. I’m saying it’s arbitrary because it presupposes several ideas that are not logically obvious or necessarily true. It may be in the favor of the country to introduce large segments of “non-native” populations, as it certainly was for Poland and the Baltic Countries in the 12th Century Landesausbau or the Tatar migrations. This brings me rather nicely to your second point, which is interesting because the founding of a nation-state always involves the suppression of the actual organic nations which populated the country and the creation of an artificial nation which is nothing more than the embodiment of the state. Germany (or as I should say the Germanies) may now be 80% “German”, but a hundred years ago they were Rhenish Franconian, and Saxon, Bavarian, Alemannic and Swabian, Meckleburgish and Prussian (both substantially Slavic). All of these were unique and well developed nations in their own right, German only as the most broad categorization. While these nationalities sometimes overlapped with political divisions, often they did not, with no detrimental effects. Are the Alsatians who are ethnically and culturally Germanic with historical ties to the Rhineland, but linguistically French, German or French? The answer to this is that not only that they are both, but also that this had no effect on the independent status of the land they lived in for many centuries. Poland also had substantial populations of Germanics and other Slavs, and even Asians like the Lipka Tatars, all of these elements forgotten or suppressed in its “rebirth” as a nation-state. As you should now be able to see, federalization along strictly ethnic lines would have been a total disaster, strengthening the fault lines instead of healing them. This was compounded by how intermixed the population of the Empire was. 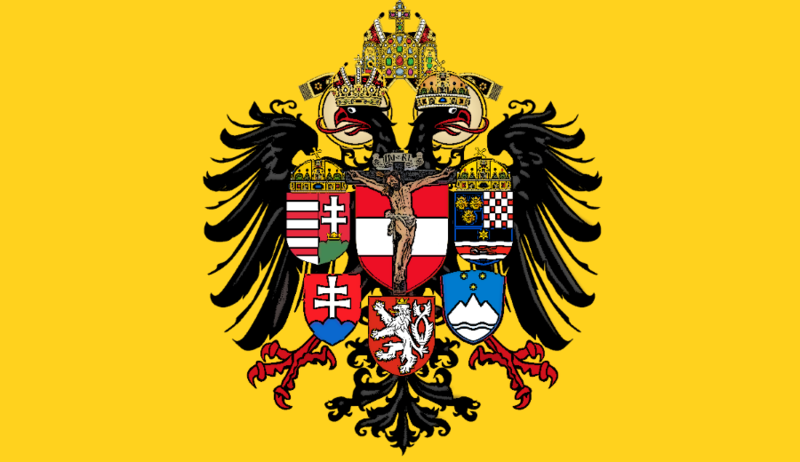 Taking only Bohemia as an example, you have not only the Czechs and the Sudeten Germans as well as some Polish and Silesians , but all manner of Germano-Czechs, and migrants from other parts of the monarchy. So what is the solution? True cultural autonomy and the political community. What could be truer national autonomy than to have nationality exist in its own proper sphere, without the constant struggle for political supremacy which the nation-state entails? Political community must be re-envisioned as its proper definition as common to all the people across social and national status cooperating for the Common Good of a region. A common misunderstanding among traditionalist circles is that Culture is Politics. Culture is not Politics, but only one and often varied good among the many goods which constitute the Common Good which is the final end of politics. Nationality is irrelevant to how a country is governed because government is about protecting and promoting the Good of all who live within its jurisdiction, not what language they speak or what folk customs they practice. Believing otherwise has lead to more than a century of war and the loss of countless innocent lives. I think there are two issues: does a nation-state need to be drawn along ethnic lines on one hand, and does a nation-state need to eliminate ethnic identity in order to be the only mediating factor between the individual and a sense of belonging. Old reigning monarchies might have existed across ethnic lines effectively and peacefully (although I’m pretty sure there were general ethnic lines involved in many cases), but within those reigns ethnicities also existed effectively and peacefully at the level of folk culture, without being a threat (in fact, being a supporting structure) to the reign at the political level. I would say that a nation-state doesn’t need to be drawn along ethnic lines, although it can be, and that a nation-state that actively seeks the demise of ethnic groups within its reign (especially ones that are long-standing and not any kind of active threat to the greater good) is not serving the responsibility that its reign is intended to keep. It is inherent to the definition of the Nation-State that is draw up along ethnic lines, mainly artificially created to bolster its supposed legitimacy, and therein lies the problem. Nations existing peaceful within their own sphere is impossible within the Nation-State because it politicizes nationality and makes loyalty to the nation synonymous with one’s duties to the Country and the State. In other words the Nation-State destroys the ability of any nation to exist peacefully within it, the “Nation” of the State must fight to keep its dominant status and those outside of it must fight to protect themselves from their minority status. The only solution is the abandonment of the Nation-State and the depoliticization of nationality.